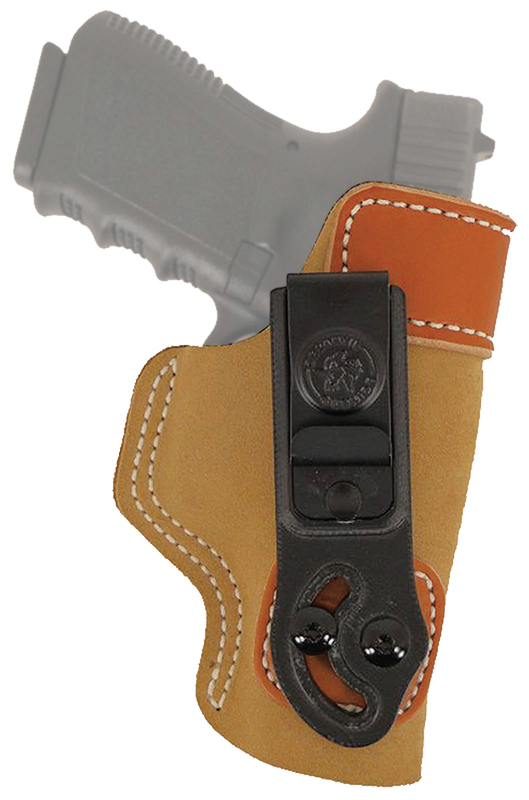 SOF-TUCK #106 is a IWB/Tuck-able holster with adjustable cant. It can be worn strong side, cross draw or on the small of the back. It is built from soft, no-slip suede and reinforced at the top with premium saddle leather to aid in re-holstering. The #106 is available for most concealable hand guns in right and left hand.